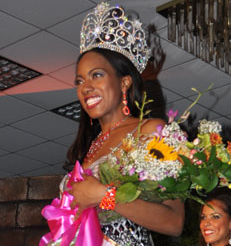 Chantal Alicia Raymond (24, 1.75m) was crowned Miss Jamaica World 2010 at the ballroom of the Jamaica Pegasus Hotel in Kingston. She will represent Jamaica in Miss World 2010 in Sanya, People's Republic of China on October 30th. Kerry Moxam and Amanda McCreath finished second and third, respectively.